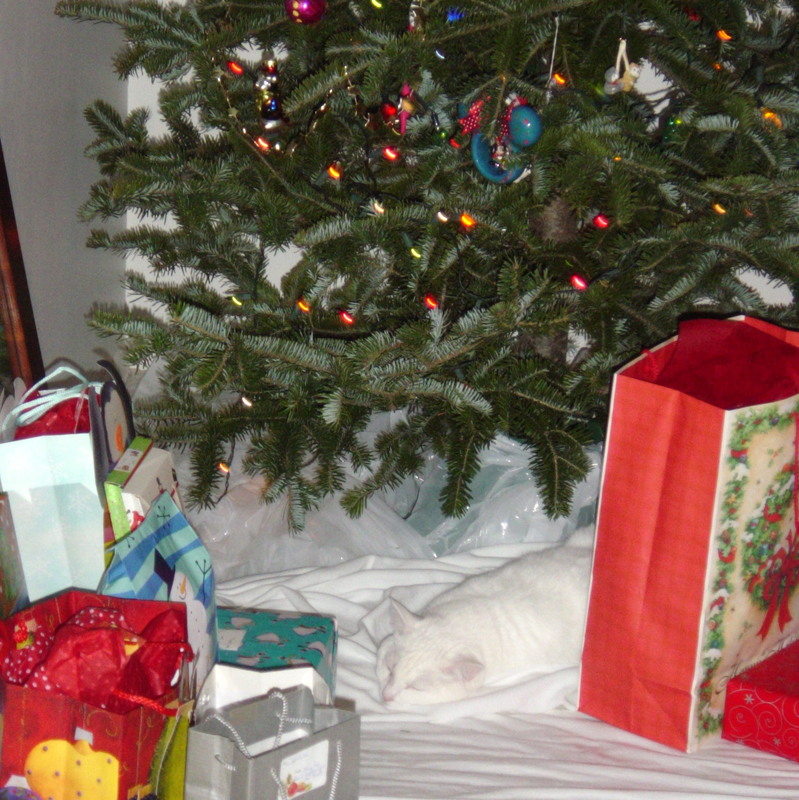 This is Noel, the Christmas Cat, in 2008 sleeping among the presents. She hasn’t changed much since then, except for about 15 lbs, and neither has the way we decorate the tree or even the bags and wrap we use. Oh my, when you look back you realize that somethings are just Purrrfect the way they are. So cute. Never change what doesn’t need changing! Smart lesson. Do you get to nibble on any trees this holiday? So far this year, the Mini Cooper, has not climbed it either, though we got a very small tree and tethered it to the wall (as we do all our trees). None of our others are climbers (yet). So far so good at the zoo. Happy Holidays! Wishing you the purrrfect holiday filled with light, love, peace, joy – and all the abundantly delicious fun and mischief that makes life at the zoo so darn great! Safe warm and smells good. Thanks Hounds. 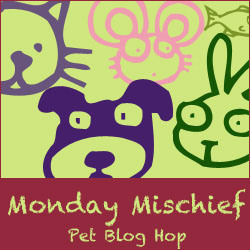 Noel is one cute cat.